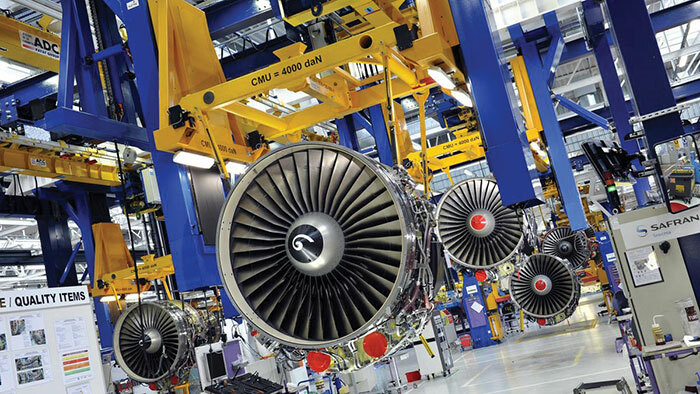 EDAC Technologies invested more than $32 million in 2015 in an expansion project at its Erlanger facility for long-term manufacturing contracts with Safran to support development and production of CFM International’s LEAP-1A and LEAP-1B aircraft engines. Kentucky’s aerospace industry has been on a fairly steep climb since 2014, when its size caught the attention of state officials. In 2015, the value of all aerospace manufacturing exports reached $8.7 billion, making it the largest industry sector in the state by that measure. The following year, the value of exports hit $10.8 billion and in 2017 it was nearly $11.7 billion, almost three times the size of the next-largest sector (motor vehicles), according to the Kentucky Cabinet for Economic Development. As of August 2018, exports for the aerospace sector were running 5.9 percent ahead of the same period last year, meaning that the commonwealth’s aerospace exports are on pace to top $12.3 billion this year. Noting the category’s spot atop the state’s export list the previous few years, The Lane Report did a cover story on Kentucky’s aerospace industry in May 2015. 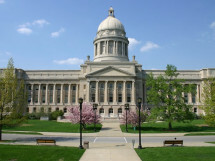 Even those in the industry describe this growth as almost a happy accident, the result of Kentucky’s proximity to major manufacturers like GE and Rolls-Royce and to military installations like Wright-Patterson Air Force Base in Ohio; its prominence as a logistics hub; and the availability of cheaper energy more so than any concerted strategy or effort on the part of state or local officials. Kentucky is learning the answer to that right now. The Kentucky Aerospace Industry Consortium (KAIC) formed in 2016 as a not-for-profit initiative of the Kentucky Science and Technology Corp. Its mission is to facilitate the growth and maintenance of the aerospace and aviation industry in Kentucky. Through September of this year, its three-person team has amassed some 50 members and partners. They have spoken to companies, civic leaders, colleges and universities, and at conferences. They have been to air shows in Montreal and the United Kingdom, promoting the state and its aerospace industry. In November, KAIC joined other industry sponsors from Kentucky in Tokyo for the Japan International Aerospace Exhibition, and next year it’s planning a strong presence at the Paris Air Show, the largest in the world. D. Stewart Ditto III, a retired U.S. Marine Corps first lieutenant who flew MV-22 Ospreys, joined KAIC in 2016 as its executive director. William Fortune, a commander in the U.S. Navy whose military resume includes stints as an SH-60 helicopter pilot and commanding special air operations for north and west Africa from Germany, joined KAIC in August this year and is KAIC’s business development director. Griffin Melzer, a 2017 graduate of Salisbury University, heads up network and brand development. and the world as an aerospace manufacturing destination. “The idea behind KAIC is to facilitate the evolution of the industry, to bring industry and government and academia together to develop a strategic plan for the maintenance and growth of the industry,” said Malphrus, who also serves on KAIC’s board. KAIC traces its roots back to an economic impact study of the state’s aerospace and aviation industry. In March 2015, the legislature unanimously passed HJR 100, directing the Kentucky Commission on Military Affairs, the Kentucky Transportation Cabinet and the Cabinet for Economic Development to study the economic impact of the combined aviation/aerospace/defense industry. The state hired Thomas P. Miller and Associates to perform the study and released the results in May 2017. One of the 26 recommendations was to create an aerospace and aviation consortium. Ditto, who managed the study, was later tapped to lead KAIC. As the study progressed, it became clear just how significant the aerospace and aviation industry is in Kentucky, Ditto recalled. It found approximately 600 companies, including roughly 120 manufacturing firms, providing some 18,000 jobs in the state. Gov. Matt Bevin and Lt. Gov. 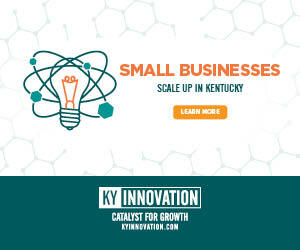 Jenean Hampton recognized the need for a dedicated industry organization that would promote the industry inside and outside Kentucky, help the myriad companies in the state network with one another to enhance their supply chains, and involve colleges and universities to ensure a good supply of properly trained workers. One of the things the study identified is that the aerospace industry nationally is migrating away from the West Coast and into the Midwest and the South. Ditto and others liken it to how automobile manufacturing has decentralized, moving away from Michigan and the upper Midwest over the past three decades. Many of those plants and jobs moved to the South, with its lower labor and energy costs, lower taxes, incentive packages and oftentimes more lax regulation. Southern states also have attracted manufacturing plants for foreign automakers, and now the region is home to assembly lines for Ford, General Motors, Toyota, Mercedes, BMW, Nissan, Kia and Volkswagen. With that growth in auto production came attendant growth in supply-chain manufacturing in the South, the companies that make the parts that go into the cars and trucks. The same seems to be happening today with the aerospace industry, in no small part because of the presence of those automotive manufacturers and their suppliers. Boeing is probably the best known case. The company opened a plant in North Charleston, S.C., in 2011 where it fabricates pieces for and assembles its 787 Dreamliner. A year later, Airbus located its first American factory in Mobile, Ala. Subsequently, Gulfstream announced a $500 million expansion of its Georgia manufacturing facility; Spirit AeroSystems opened a manufacturing plant in North Carolina; Honda Aircraft Co. expanded in Greensboro, N.C.; Rolls-Royce opened an advanced manufacturing plant in Virginia; and Dassault Falcon Jets expanded in Arkansas. Kentucky has its own large players. GE Aviation has a manufacturing facility in Kenton County in Northern Kentucky and Safran Landing Systems has one in Boone County. But the majority of Kentucky’s aerospace industry manufacturers are smaller firms that make parts for the larger firms. 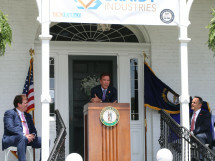 “For Kentucky specifically, a lot of our aerospace manufacturers are companies who have also supplied for the automobile industry and saw an opportunity to diversify their business, capitalizing on the growth of aerospace here in Kentucky,” Ditto said. Fortune cited as one example M&S Machining in Winchester, which has transitioned to aerospace manufacturing from automotive-related manufacturing. Today, M&S fabricates sheet metal and parts that go into several military helicopters and Lockheed’s C-130 Hercules military transport plane. Sheet-metal fabricator Skillcraft LLC in Burlington set up a separate business unit, Skillcraft Aerospace, to handle the growing volume of work coming from that sector. In 2011, the company wasn’t involved at all in aerospace. By 2015, aerospace accounted for 35 percent of Skillcraft’s total sales, and Skillcraft President and CEO John Zurborg said he could see it reaching 50 percent. American Metal Works in Paintsville was a top manufacturer of drill bits for the energy industry, Ditto said. As coal declined, the company began manufacturing for the auto industry and now supplies the defense industry as well. It has its AS9100D quality management certification, which is required for aviation, space and defense industry suppliers. KAIC is working with other manufacturers in Kentucky to help them understand the certifications and qualifications required to become suppliers to the aerospace, aviation and defense sector. Debby Shipp, vice president for international affairs and business growth at the Northern Kentucky Chamber of Commerce, said Ditto has spoken at trade association gatherings and to manufacturing firms in the region, helping them understand who their peers are and how their capabilities can complement each other to serve large firms like GE, Boeing and Lockheed-Martin. Shipp said the state’s study on aerospace and aviation opened the chamber’s eyes to just how many such companies are in Northern Kentucky, some of which were unknown to the chamber. But it does make connecting the industry more challenging, a challenge KAIC is addressing. KAIC is also promoting the aerospace and aviation sector throughout the state, raising awareness of how important it is to local communities and touting its job prospects. Morehead State University is a good example. Tucked into the mountains of Rowan County, MSU’s Space Science Center has long been one of the leading space research and development institutions in the country. It has the lead role on a project called Lunar Ice Cube, a mission in collaboration with NASA and the Jet Propulsion Laboratory to send a probe to the moon to map the distribution of water ice as a sort of precursor for man’s return to the moon, Malphrus said. MSU, a leader in the development and construction of 4-inch-by-4-inch cube satellites, is building the spacecraft with a goal of having the entire process done in Kentucky using Kentucky companies. Education at all levels, including high school, will play a critical role in helping Kentucky compete with other states vying to benefit from the migration of the aerospace industry. Along with Gov. Bevin’s goal of making Kentucky a center for manufacturing and engineering excellence, high schools and technical colleges are leveraging curriculum and training programs already in place for the automotive sector and adapting them to aerospace, Thomas said. It’s evident in the focus on science, technology, engineering and math (STEM) curriculum and hands-on problem-solving, critical thinking and collaborative approaches like Project Lead The Way from high school on down to kindergarten. KAIC’s role will be to help bridge the gap between students learning those skills and realizing they can put them to work in good jobs without having to leave the state. Additionally, KAIC is working with the military to encourage military personnel discharged through one of Kentucky’s military bases to stay in the state and – importantly – keep their skills here. It also has launched an initiative called Elevate Kentucky, the aim of which is to make the state a central location for the testing and development of autonomous vehicles, not just drones but also driverless cars. The hope is that all this work – combined with the advantages Kentucky already touts, including its proximity to two-thirds of the U.S. population, its low-cost energy, its available workforce and its transportation network – will give the state a leg up over nearby competitors like the Space Coast, Ohio, the Carolinas and Tennessee. Chuck Sexton, president and CEO of One East Kentucky Economic Development, an economic development organization that represents nine counties in Eastern Kentucky, said aerospace can be an important long-term economic driver, something his region of the state sorely needs. Sexton said KAIC will play a pivotal role helping the aerospace industry grow, which in turn helps diversify the economy. “I think it’s a good time for KAIC to come around and to really start pulling our aerospace sector together and be that expert that we can go to when we’re recruiting that helps fill in gaps and gets us the information we need,” Sexton said. With numerous studies and much anecdotal evidence supporting the aerospace migration story, it’s possible that KAIC – itself the product of suddenly recognizing the importance of the state’s aerospace sector – could have come along at just the right time to help Kentucky capitalize on the trend. 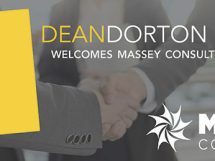 “We have this window of opportunity available to us that needs to be capitalized on while the iron is hot, while these companies are moving and looking for places to relocate, grow or expand,” Ditto said. “Once the dust settles and the industry is relocated to this area, it’ll be kind of like it was when they were on the West Coast and they stayed stationary for a while. It’s going to be harder to get them to relocate again once they’ve made those moves.